Matty B entertainment performs live music consisting of vocals, saxophone, and GUITAR. 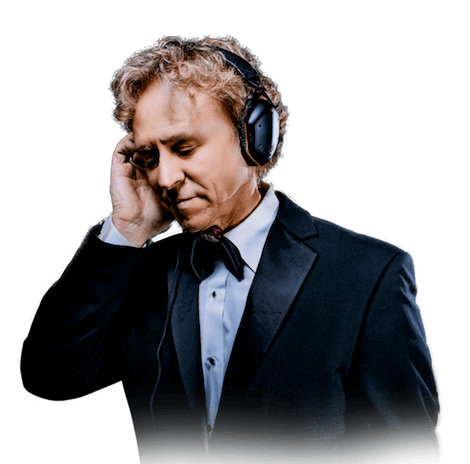 Matty B is also a premier wedding dj playing TOday’s top hits, pop, orchestra, country, dance, Latin, oldies, SWING, disco, and CLASSIC ROCK. "With over 200 reviews, his clients have recognized his commitment to quality, professionalism and all around top-notch service . 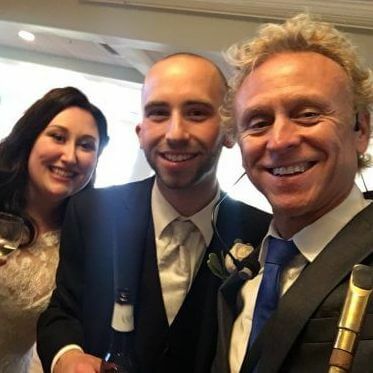 . . a top-rated wedding professional within the WeddingWire Network and a Couples' Choice Award winner"
Matthew said... Matty Bernier has to be hands down the best wedding entertainer in the business. His ability to play the guitar and sax while doing live performances was amazing. Casandra and I really enjoyed how interactive he was by engaging with the guests while performing. He leaves nothing to chance and was more than happy to make sure we got the exact music we wanted for our wedding. Casandra and I wholeheartedly recommend Matty Bernier for anyone's wedding. Why take the chance with another DJ when you know you will get perfection from Matty B.
Malaree said... Matty B is the best!!! He is a true entertainer. Everyone at our wedding raved about him. I heard about Matty B through word of mouth and were so glad we booked with him. He played for our ceremony, cocktail hour, and whole reception and was so involved with our guests. Thanks again!!! ?? Alyssa said... Matty B made our wedding complete. 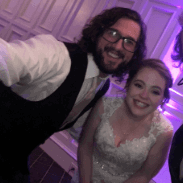 Our wedding was in the midst of a snowstorm in CT and he was still there on time and helped get everyone on the dance floor as well as keep them there! We had so many of our guests tell us how much they enjoyed the music. Several even wanted his name to save for upcoming events of their own. 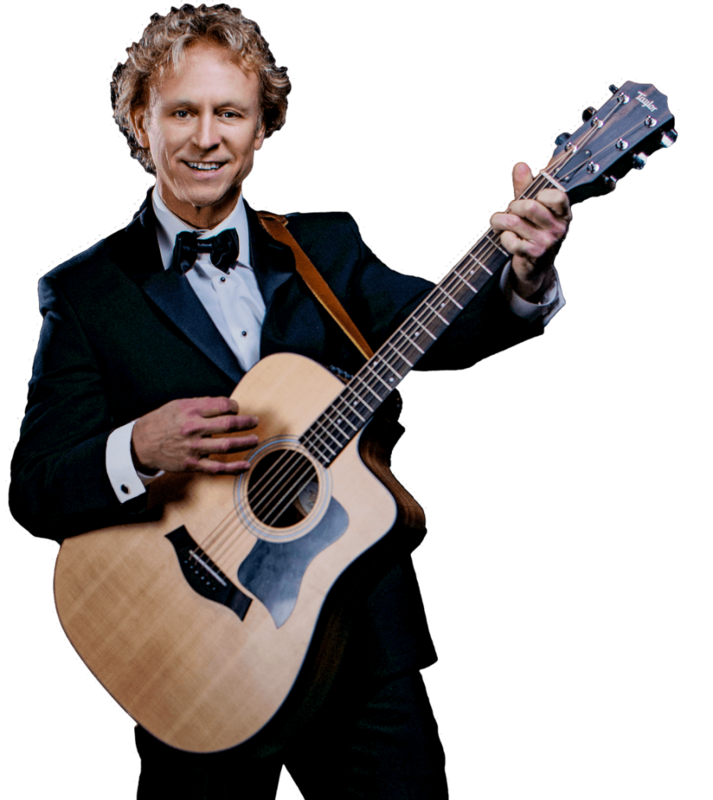 He provides live music which gave a whole different dimension to our wedding. We could not have been happier with how everything went! Kate said... Matty B was everything we asked for and more! Everything from our ceremony to the reception was perfect. 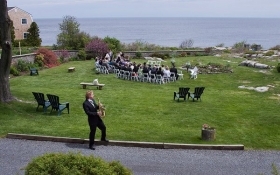 Matty is truly a talented performer and his saxophone playing really made the reception. I would definitely recommend him! One of the things we've heard over and over again about our wedding was how awesome our DJ was! Matt was easy to work with and super accommodating. 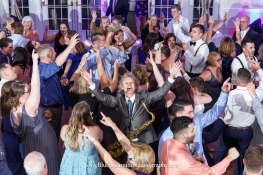 Everyone loved the sax before the ceremony and throughout dinner, and we were so impressed with everything Matt did to make the night special! He did a great job keeping the dance floor going all night! Amy said... Matty B was absolutely amazing! He had everyone at my wedding up and dancing. 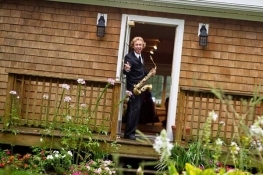 His beautiful saxophone playing created the most beautiful ambiance to greet my guest at my wedding ceremony. His organization and professionalism kept the whole night running smoothly and everything went perfect. He had all my guests ranting and raving about how fabulous he was! My husband and I could not be more impressed and would use him again in a heartbeat! 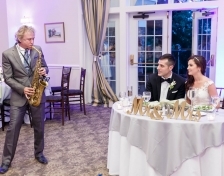 Picture music being played on the saxophone as your guests are being seated. The ceremony begins with either live music or DJ music of your choice. 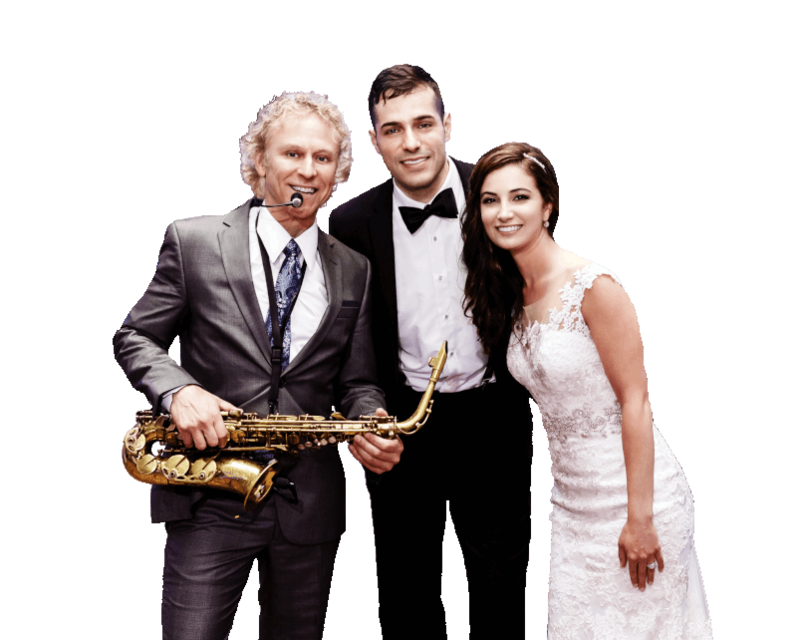 Next, the Bride Entrance Song � A solo on the saxophone is a big favorite. Then the recessional song is played as you leave..
Matty will do a combination of Live Music and DJ. Starting with DJ music, then Matty will entertain your guests with live music and slowly build the energy to get ready for introductions. Matty always maintain the volume at an appropriate level for your guests to mingle and chat. 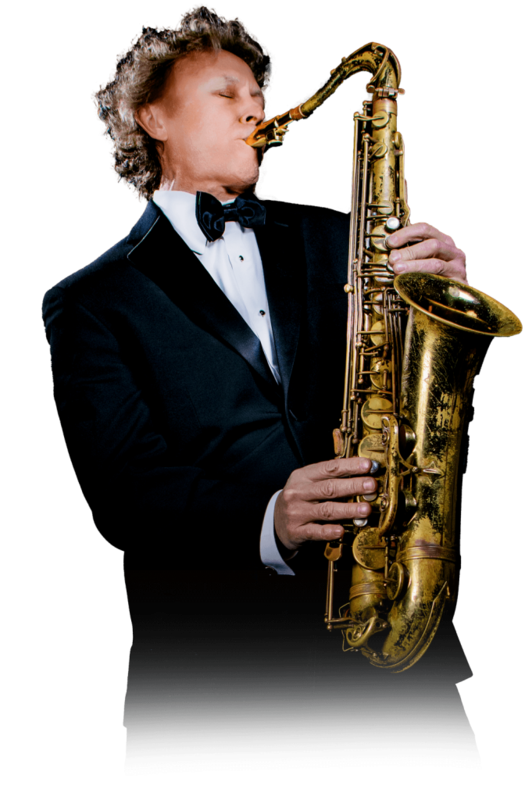 While your guests are being seated and awaiting dinner, Matty can entertain your guests with live music on saxophone, guitar and vocals. While everyone is dining, Matty will DJ some of your favorite songs on your music request list. Once finished, everyone is ready to party! A packed dance floor is what Matty delivers with live music and DJ services. Matty will always incorporate the selections from your song request list. The goal is that you will never forget what a wonderful time you and your guests had on your wedding day. Matty and Luann can sing all those favorite love songs while your guests are enjoying their dinner and then kick up the dance music during the reception. Enhance the ambiance of your wedding or event with elegant, professional uplighting. Uplighting sets the mood by creating a magical backdrop to your special day. We can refer you to some qualified vendors and can typically save you money. Ask for more information about the many different styles and options available. We will keep you updated with the latest news and perks.